The single vineyard Herrenweg is located in the middle of the gravelly valley floor located between the villages of Turckheim and Wintzenheim, on deposits left by the river and glaciers in recent geological time. Going West towards Colmar, the vines are more exposed to the north winds, deeper in the valley it gets cooler and soils are less deep, towards Turckheim the water table is less deep and towards Wintzenheim the soils get gradually more covered by loess. So, like in many other places: the middle is the best part! Herrenweg soil is poor and suffers easily from drought and thus older vines have a much higher quality potential. This vineyard was planted by my grandfather Zind and my father. The fermentation was very slow but the wine finished very dry. 8/2017: bright yellow colour. The nose is elegant and shows beautiful citrus/mineral character, combined with a nice tight, almost reductive, aromatic profile. It is very hard to guess that it comes from a valley floor! The palate develops slowly and is still fresh days after the bottle is opened. Great acidity, very salivating, elegant mouthfeel, but has almost a ‘limestone’ strictness. 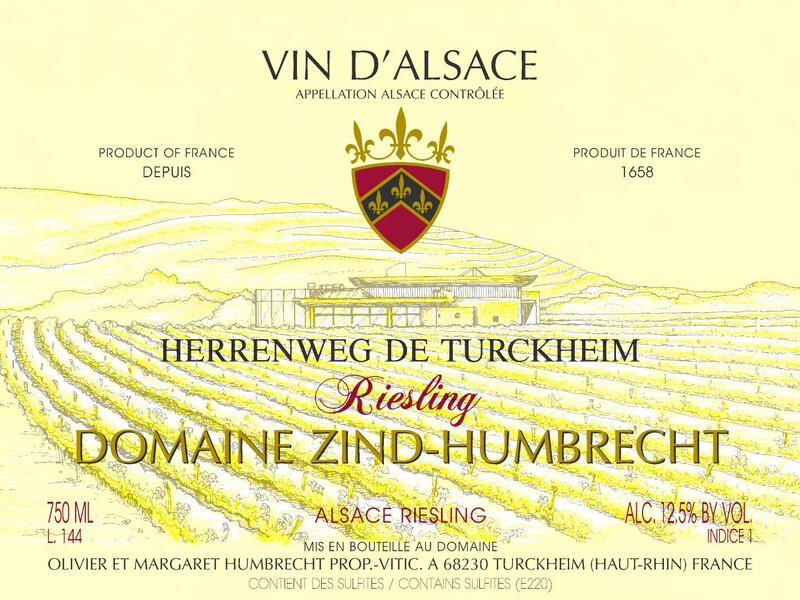 Extraordinary Herrenweg wine that will not disappoint next to more prestigious origins!